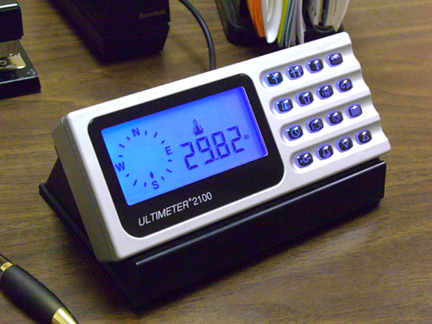 The ULTIMETER 2100 includes BAROMETRIC PRESSURE and numeric pressure change over a 3 hour period (which is the U.S. 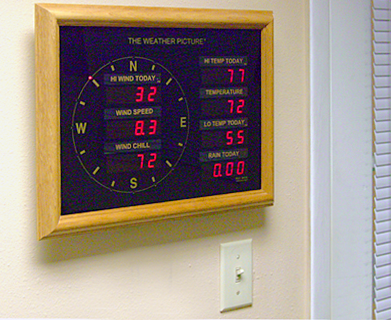 Weather Service standard interval) plus a preset barometric STORM ALERT, WIND SPEED, WIND DIRECTION (click to see sensor), OUTDOOR TEMPERATURE, INDOOR TEMPERATURE, WIND CHILL, TIME, DATE, OUTDOOR HUMIDITY (with optional sensor ), DEW POINT, AND HEAT INDEX; INDOOR HUMIDITY (with optional sensor ), and RAINFALL (with optional sensor ). The ULTIMETER 2100 features a VERSATILE 7-MODE SERIAL PORT that can accept remote commands, making it easy to communicate with external devices to transmit the data or collect it remotely by phone, modem, or radio link. The 5-minute packet mode is perfect for economical radio "beacon" transmission. The 2100 comes "APRS-Ready," requiring only direct cable connection to a TNC. 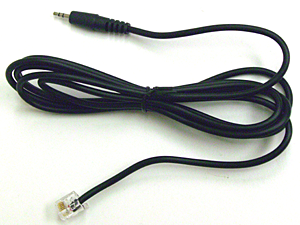 A second Serial Data Port connection (new feature) is available in the ULTIMETER 2100's sensor junction box (order separately, not included in upgrade kit), delivering greater flexibility in the location and connection of THE WEATHER PICTURE, PC Weather Data Logger, or other peripheral weather accessory. 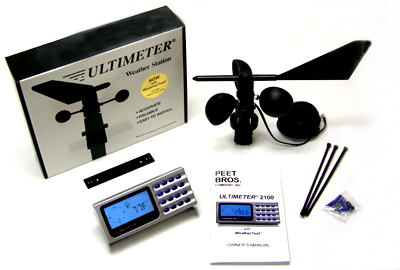 Includes ULTIMETER 2100 Keyboard/Display Unit, ULTIMETER PRO Anemometer/Wind Vane (w/40' cable), Wall Mounting Bracket for keyboard/display, and Owner's Manual.